The site of the then-proposed campground on Brockway Summit on Sept. 7, 2016. 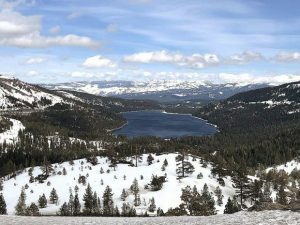 TRUCKEE, Calif. — It’s been a little over a year and a half since Mountainside Partners, the developer behind the Martis Valley West proposal, approached Placer County with an idea to bring a campground to the ridgeline property overlooking Lake Tahoe. 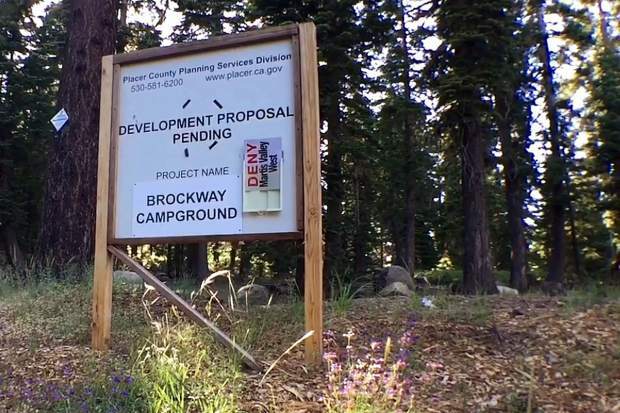 It was called the Brockway Campground, and it was supposed to be a compromise to satisfy those who were weary of the original ridgeline property development that was part of the initial Martis Valley West plan. When the development’s critics still weren’t happy with the campground idea, landowner Sierra Pacific Industries and developer Mountainside Partners announced in September they were selling the land to the U.S. Forest Service. “Sierra Pacific Industries and Mountainside Partners are working closely with the United States Forest Service and the California Tahoe Conservancy to facilitate the acquisition of the Brockway Campground land.” said Blake Riva, a managing partner of Mountainside Partners, in an email to the Sierra Sun. “It has been identified as one of the top three priority acquisitions of the USFS Tahoe Basin Management Unit and is anticipated to be completed in late 2017,” he added. A spokesperson for the forest service said in an email that the sale is still in the early stages. Martis Valley West was a complicated land-swap, wherein essentially the owner of a larger piece of land that was zoned for development agreed to leave the property alone if their plans for development could be shifted across the highway, to a piece of land adjacent to the Northstar California resort. 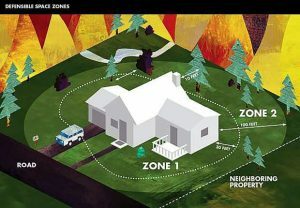 A portion of the new property sat adjacent to the Lake Tahoe Basin boundary, on the ridgeline, thus making it particularly controversial since ridgeline homes and other development are considered by some to obstruct scenic views around Lake Tahoe. Even the Incline Village Board of Realtors and the Tahoe Sierra Board of Realtors in 2015 vocally opposed the ridgeline development. The developers came up with another plan, which was to build a campground on the ridgeline site. The rest of the Martis Valley West plan would include residences, but the portion of ridgeline property would only be used as a campground. But even the attempted compromise was wildly unpopular, since many opposed to the Martis Valley West plan and the separate Brockway Campground proposal questioned not the type of development, but the ability of the region to support more visitors and traffic. The plan was still adopted by the county in October, despite opposition from local residents and environmental groups.